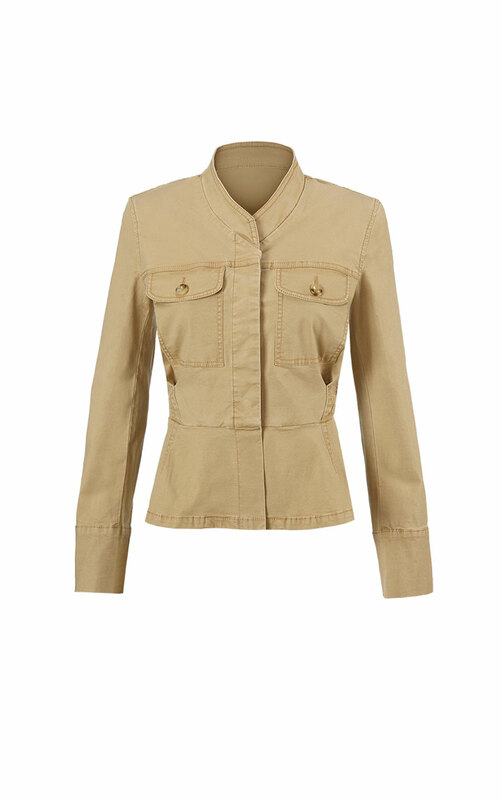 This sturdy, stretch canvas jacket fits close to the body and features a feminine cinch at the waist with a peplum hem. 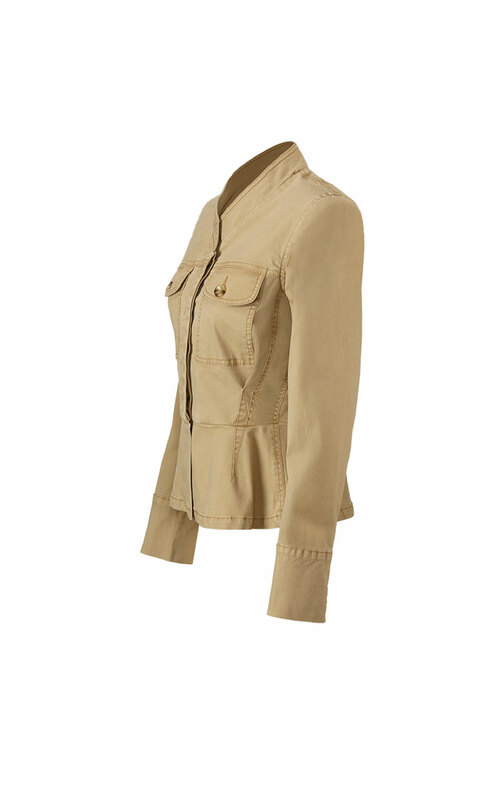 In a neutral khaki color, the Camp Jacket is perfect for the Safari Chic trend and features pleats and unique stitching at the seams for added dimension. 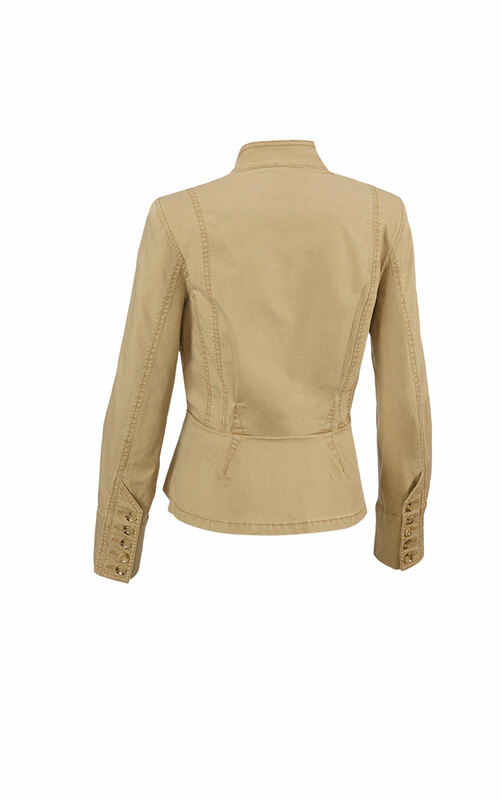 Loving the Camp Jacket? Share how you’re wearing it on Instagram, and browse through all the inspired ensembles for fresh ideas.